In honor of this important day, we share the following facts on what this day is and what means to our country and the men and women who have served in our military. Veterans Day is a national holiday dedicated to thanking all men and women who have served honorably in the military during times of war and peace. 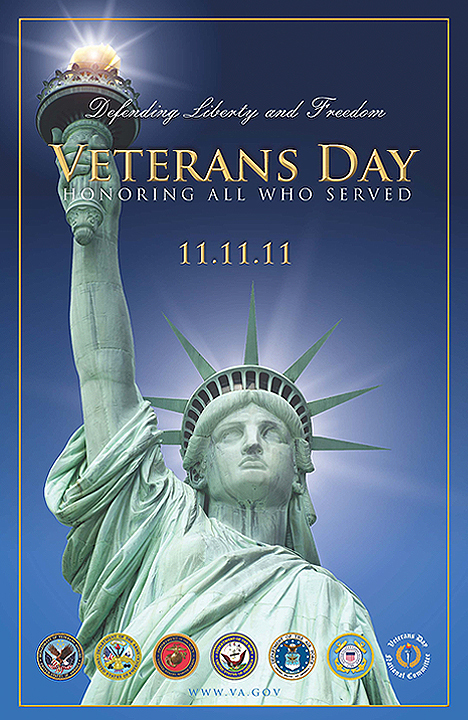 Veterans Day originated as "Armistice Day" on November 11, 1919 - the one-year anniversary of the end of World War I. 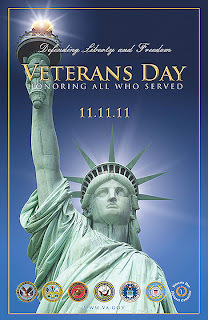 It became a national holiday in 1938 and was renamed to Veterans Day in 1954. 400,000 of the United States Armed Forces died during World War II. There were 21.9 million military Veterans in the United States as of the 2009 U.S. Census. Of those, 1.5 million were female. A national Veterans Day Ceremony is held each year at Arlington National Cemetery, which begins with a wreath laying at the Tomb of the Unknowns. Similar ceremonies take place at VA National Cemeteries throughout the country. Red Poppies are the official flower of Veterans Day in reference to the poem, "In Flanders Fields." In 1918, Moina Belle Michael pledged to always wear a red poppy as a sign of remembrance, an idea that spread and was later supported by the Veterans of Foreign Wars with their "Buddy Poppy" program. Although he was born before Veterans Day was established, famous World War II American military officer, George Patton, shares his birthday with this holiday. Veterans Day is spelled without an apostrophe "s" because it is not a day that belongs to veterans, but a day for honoring all veterans. There are many ways that you can show your support. Consider purchasing a pair of Mobilegs for a wounded Veteran or any of the ideas listed in this post, "11 Ways to Help Veterans On 11-11-11." Is It Possible to Lose Weight Using Crutches?